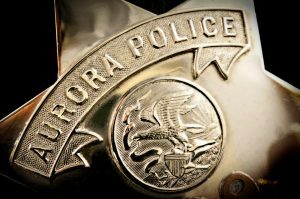 A 25-year-old Aurora man was shot and killed Wednesday evening while in the parking lot of an Aurora coin laundry mat, Aurora police said. According to police, the victim, Neal Brooks, 400 block of S. River Street, and a 32-year-old man, were sitting in a vehicle outside the laundry mat in the 800 block of W. Illinois Avenue around 7 p.m. when a gunman walked up to the car and shot both men multiple times. Aurora Police Department spokesman Dan Ferrelli said the shooter, described as a black man, 5-feet 7-inches, 150 pounds and wearing a dark, hooded sweatshirt, ran westbound from the scene. Brooks was pronounced dead at the scene at 7:18 p.m. The other man, who has listed addresses in both Chicago and Naperville, was taken to an Aurora hospital by Aurora Fire Department Paramedics for treatment of non-life threatening injuries. Ferrelli said a definite motive has not been established but the crime does not appear to be random in nature. Anyone with information about the shooting is asked to call Aurora Police Investigations at 630-256-5500 or Aurora Area Crime Stoppers at 630-892-1000. Callers to Crime Stoppers stay anonymous and qualify for a cash reward of up to $5,000 if their tips lead to any arrests.